Melbourne, Jan 20 : Sixth seed Roger Federer on Monday equaled Jimmy Connors record by reaching his 41st Grand Slam quarter-final with a 6-3, 7-5, 6-4 win over Jo-Wilfried Tsonga in the fourth round of the Australian Open. 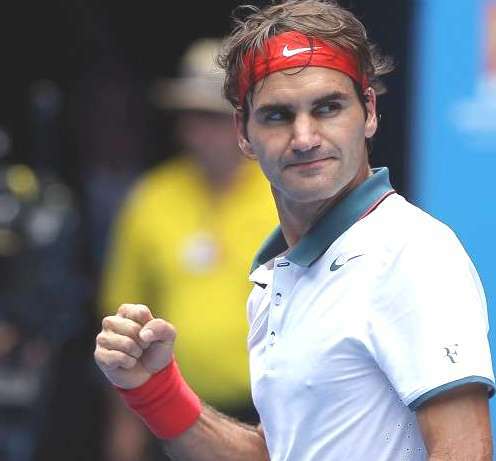 It was also the 11th straight year that Federer has reached the quarter-final stage at the Melbourne Park. Federer and Tsonga met twice in the quarter-finals of Grand Slams last year, with the former winning their match at last year's Australian Open and Tsonga prevailing at the French Open in May. Federer next faces fourth-seeded Andy Murray in the quarter-finals.